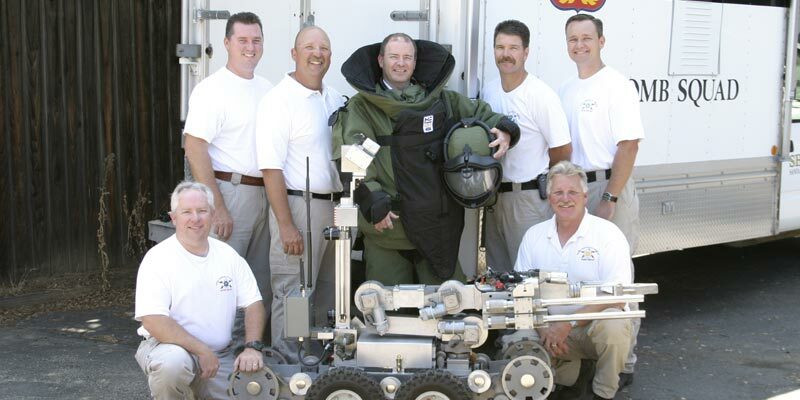 The Sheriff’s Bomb Squad is the only public safety Bomb Squad in Santa Barbara county. We serve the entire county and all jurisdictions in the county at no charge to any other agency. We provide expert explosive and bomb disposal response 24 hours per day. The Bomb Squad is responsible for the safe disposal of actual or suspected explosive devices, deteriorated explosives, illegal fireworks, improvised explosive devices (IED’s), and military ordnance. The squad also provides assistance to local, state and federal agencies and provides assistance with dignitary protection of persons coming to the area. The Bomb Squad is comprised of six Sheriff’s Office deputies and one Santa Barbara Police officer. 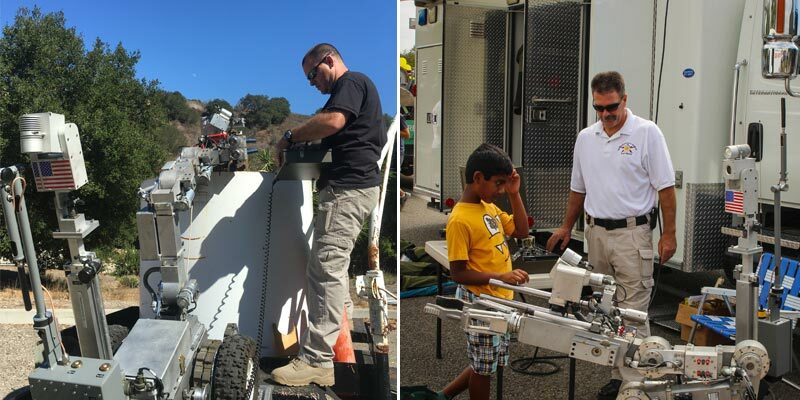 The Bomb Squad provides demonstrations, displays and education of the squad’s duties, and general informational briefings to Sheriff’s Office and Santa Barbara Police Department citizen academies. Additionally, the Bomb Squad participates in public events, such as; the Goleta Lemon Festival, Fun in the Sun Day at Cleveland School for at risk juveniles, and the Santa Barbara Police Department’s Police Athletic League. 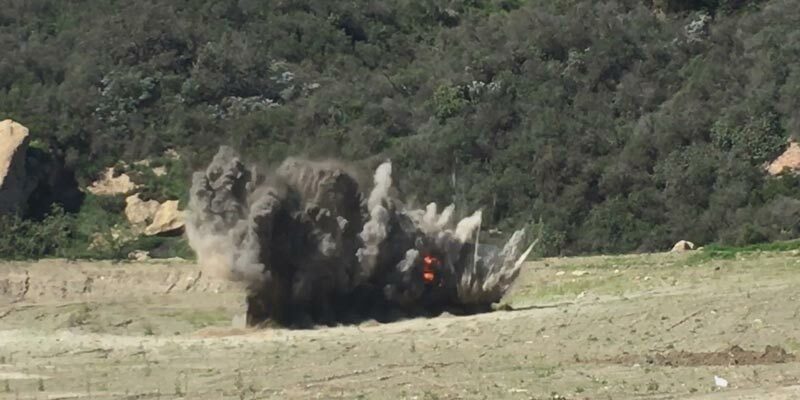 The Bomb Squad maintains contact with all Southern California bomb squads by attending and participating in the Southern California Bomb Squad Commanders quarterly meetings, as well as attending the Santa Barbara County Arson Task Force meetings. 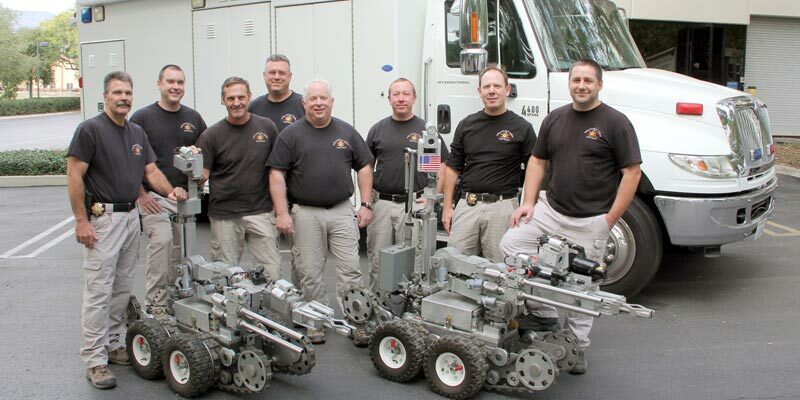 The FBI maintains jurisdictional control over the Bomb squad and the training of its technicians. The Bomb Squad technicians receive their initial six week training at Redstone Army Arsenal, located in Huntsville, Alabama. Once our bomb technicians receive their initial training, they return to the Redstone Arsenal every three years for re-certification. In addition, the squad trains twice a month and each Bomb technician attends a 40 hour Hazardous Materials course. 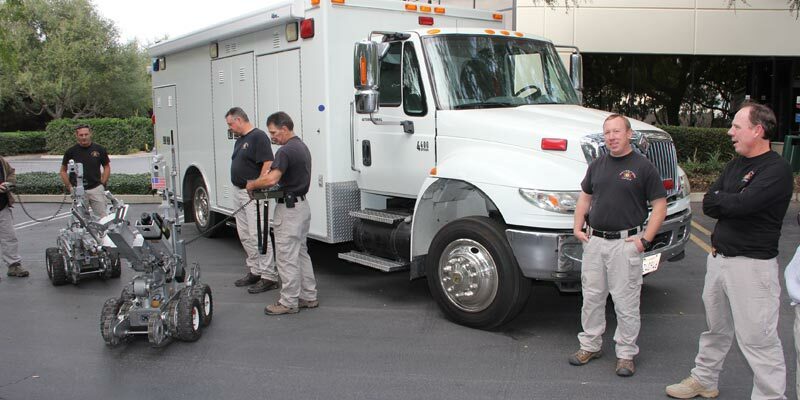 Bomb Squad personnel also attend various trainings sponsored by the ATF and other federally funded agencies. The Bomb Squad participates in annual training exercises, which are state run and determine the readiness of various local, regional and state resources. In addition to the training that bomb technicians participate in, they have a variety of equipment at their disposal to deal with the various incidents that they train for. Some items of equipment are remote controlled robots, x-ray systems, bomb suits, rigging equipment and commercial explosives. 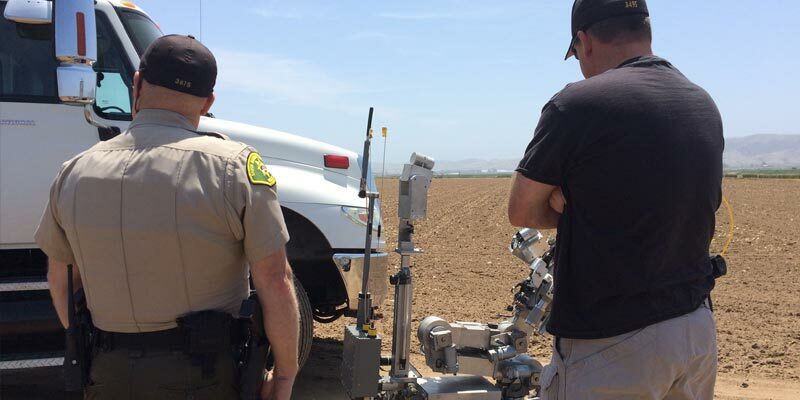 On average, the Santa Barbara County Sheriffs Bomb Squad responds to approximately 30 calls per year.